The Lagos State Government has concluded plans to relocate the popular Computer Village in Ikeja to Katangwa before the end of 2017. 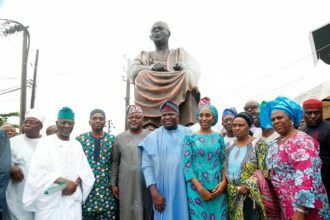 Commissioner for Physical Planning and Urban Development, Mr Wasiu Anifowose said this at the ongoing 2017 Ministerial Press briefing in Alausa on Tuesday, as part of activities marking the second-year anniversary of Governor Akinwunmi Ambode’s administration. 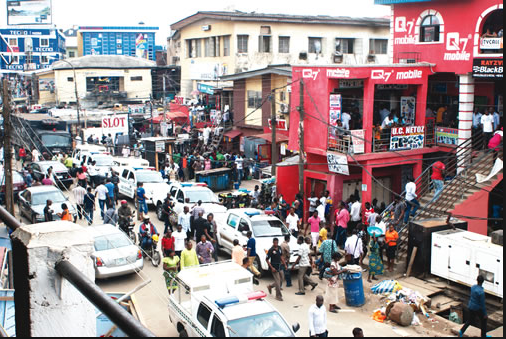 Anifowose said that the market was situated in a residential area, Otigba Street. He said that it would be moved to the ICT Park, Katangwa in Agbado/Oke-Odo Local Council Development Area and the area will be converted into a world-class ICT Park. ‘If at the end of this year, the Computer Village is not moved from that Otigba Street in Ikeja to Katangwa, I will not come here next year’ he said. He said the government have held a meeting with the traders and they have agreed to move to the new location provided for them. ‘It is a done deal; we have held a stakeholders’ meeting with the traders and they agreed to the relocation plan’.